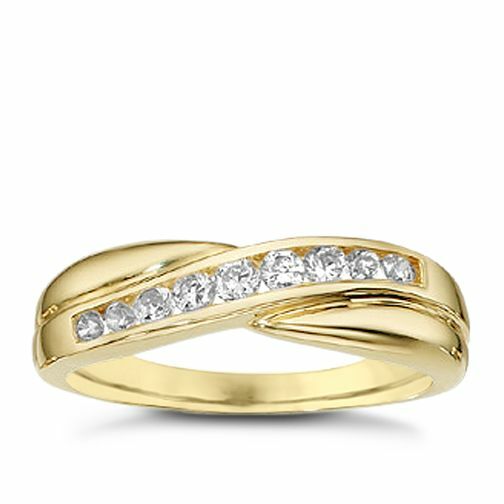 9ct Gold Cubic Zirconia Ring is rated 4.8 out of 5 by 5. Rated 5 out of 5 by Anonymous from Perfect size & looks amazing Brought for my wife as she needed something to keep her wedding & engagement ring on as she has been losing weight, does the trick perfectly & looks amazing with the other rings! Rated 4 out of 5 by Anonymous from Lovely everyday ring Loved this ring with sapphires and so bought this one too. Very pretty. Really pleased with it.